Everything was great! The staff was kind and friendly. We are very pleased with our stay. I definitely recommend this place. Great & friendly staff. Excellent breakfast & restaurant. The mineral water pools are great. The rest of spa area is good enough. We are visiting Aquilon Spa again after 6 years. It was great experiance and it was nice that they had inproved and grown up from 2011. We will go back in october for sure. My family enjoed in the hot mineral water in the outdoor pool. We recomend to taste the meals in the restorant. The thermal water was amazing. The staff was great and friendly. The food was great and the cappuccino was very good as well. The location was nice and the place was clean. Everything was great having in mind the fact that we have stayed there four times already. 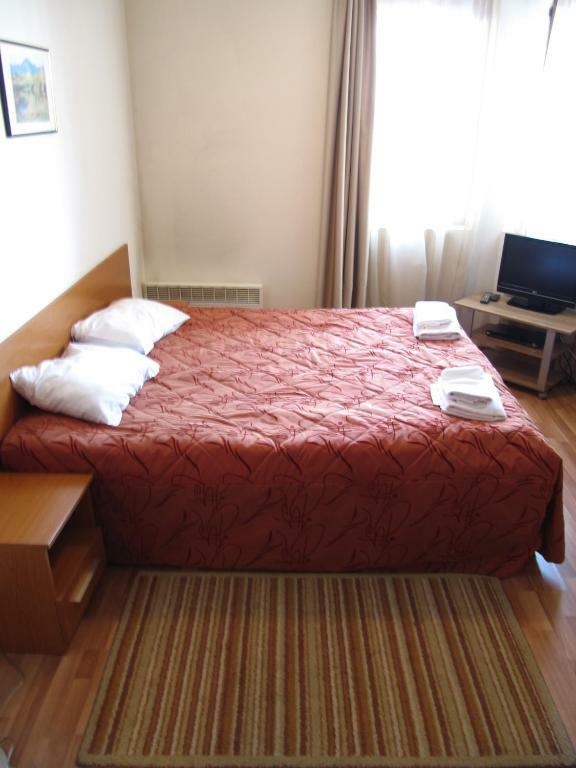 Acceptable breakfast, genuine persons, helpful manager, nice position close to Bansko ( by car or taxi), good outdoor swimming pool. We had an two bedroom appartment , big, warm, confortable. It has a dining room and kitchenette with hob, toaster, electric kettle, fridge and cutlery. The water in the pool is about 36 degree C. Breakfast is decent. When the occupancy is low, is continental, when is higher, they serve swedish buffet. 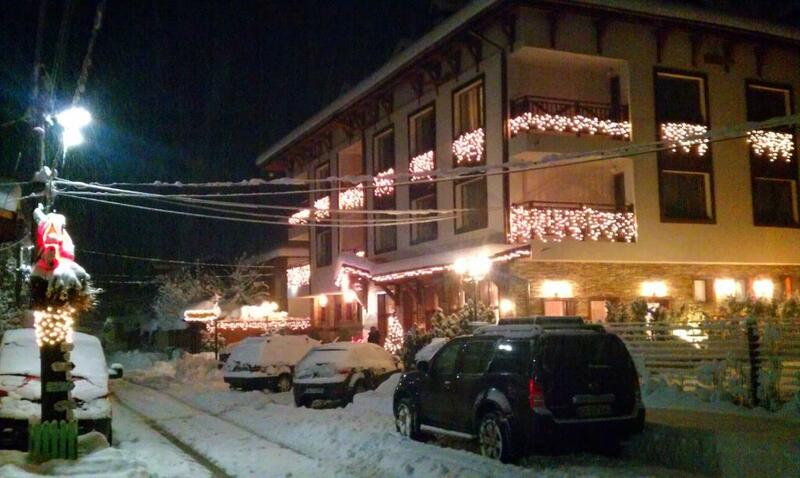 During the low season the shuttle to Bansko is only in weekend but the taxi costs only about 20 leva (10 euro). Warm and nice place to stay. Pleasant staff. Wonderful spa. Good price for the quality of food served. Everyone was friendly. The rooms were big and cozy. Tv working as expected. Fast internet and almost global coverage in the hotel! The room was clean and comfortable. 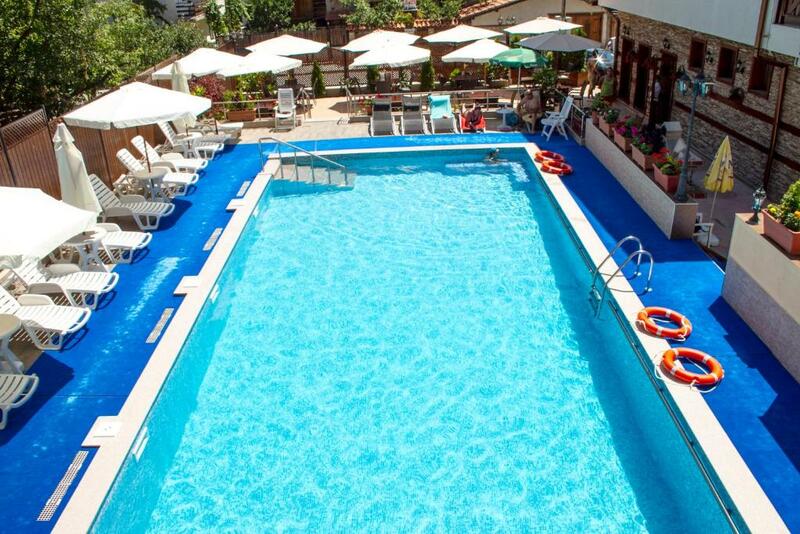 The water in the swimming pools was warm and it was a pleasure to relax. The hotel is very well maintained with nice interior. Lock in a great price for Aquilon Residence – rated 8.9 by recent guests! Aquilon Residence This rating is a reflection of how the property compares to the industry standard when it comes to price, facilities and services available. It's based on a self-evaluation by the property. Use this rating to help choose your stay! 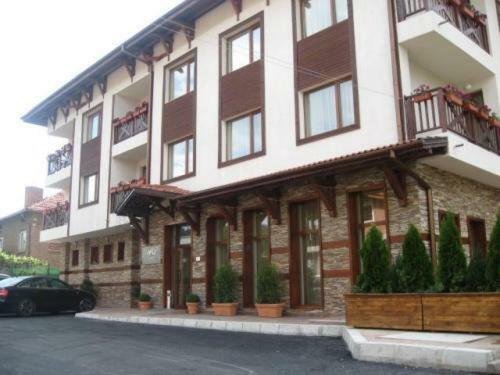 Amid a tranquil village atmosphere, very close to the popular Bansko ski resort, accommodations is well located for winter sports enthusiasts, offering a free shuttle to Bansko Gondola Ski Elevator. You can choose from well-equipped studios and one- and 2-bedroom apartments surrounded by crisp mountain air. 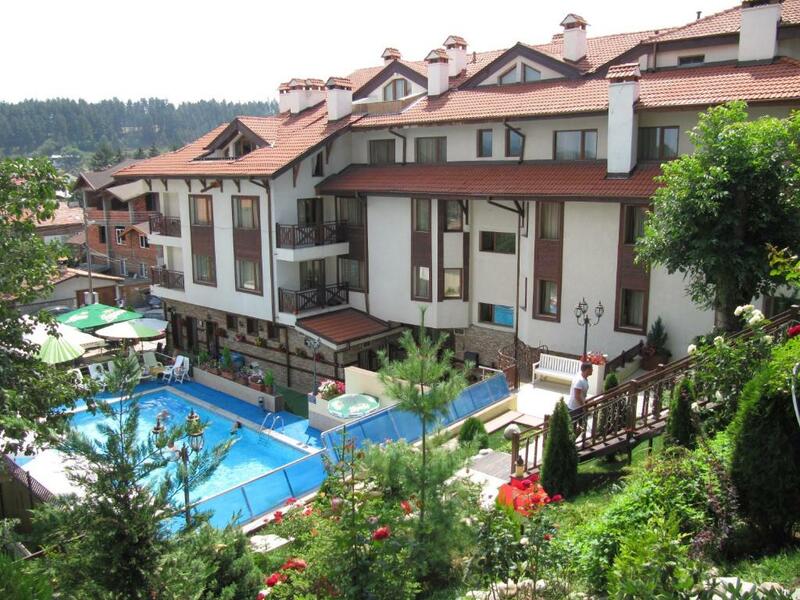 Nearby you will find a golf course and restaurants offering the finest Bulgarian cuisine. Guests of the Aquilon Spa, seeking relaxation and rejuvenation, have the privilege to enjoy the modern spa center with numerous procedure cabinets, a steam bath, a sauna, a hot tub, different types of massages, a big indoor thermal swimming pool and an outdoor pool. All of the procedure cabinets and swimming pools use naturally hot mineral water from the hotel’s very own mineral spring, known for its healing powers. This property is also rated for the best value in Banya! Guests are getting more for their money when compared to other properties in this city. When would you like to stay at Aquilon Residence? House Rules Aquilon Residence takes special requests – add in the next step! Aquilon Residence accepts these cards and reserves the right to temporarily hold an amount prior to arrival. Free shuttle ski bus to/from the gondola with a specific schedule is at guests' disposal during the winter season. Please note that bathrobes are not included in the rate. Guests can rent them at the property or bring their own. The parking place was too small for a limited number of cars. There was nothing else we didn't like about this place. Everything else was really good. We are definitely going to stay here again for sure. Two employees only capable to speak English (manager included). We arrived and our room (108) was totally not according to our expectations: stains everywhere and especially on the sofa. Furniture very cheap and outdated, probably the last painting of the walls was few years ago. We complained at the reception but the employee did not speak English. We managed to call the manager who was very kind and helpful and our room was changed with another bit better (but we had to wait one hour because was not clean). Indoor swimming pool poorly maintained ( a lot of mold everywhere and Shower in the Spa without hot water).The cleaning ladies took away dirty bath towels that were not replaced within 24 hrs. We have been told that they were out of towels. Fortunately we had two bathrobes gently provided by the hotel manager. This was the second time in this hotel (the previous time 2013) and we were really disappointed. We suggest the property owner a general refurbishment of the hotel which has enormous potentials. The price per day (around 140 euro , breakfast included ) was really too much for we had. The space around the indoor pool is very narrow and there are insufficient chairs (only 3 or 4). It would be nice to have a tablecloth to serve the table on. Elevator was way to small. Lights were not automated and turned off too quickly. The jacuzzi required additional charges. Good choice of facilities - warm pools, sauna, spa, gym. Beautiful garden. The reception is not cover 100% of time by the personnel who know English, and in the evening payment by card does not work, but everything is solved in the next morning. All the facilitates of the hotel. The restaurant - food is very tasty, the prices are ok. The rooms are spatious, clean, with balcony. The sewerage in the bathroom needed cleaning. The fan in the bathroom also was not working. As I have visited the place before I have info based on which I can compare. The place is good, the staff is very helpful, much more than before. The massage which I had was great. The internal and the outside pool are with mineral water which is really helping if You have health issues. Really nice place for weekend or week vacation. 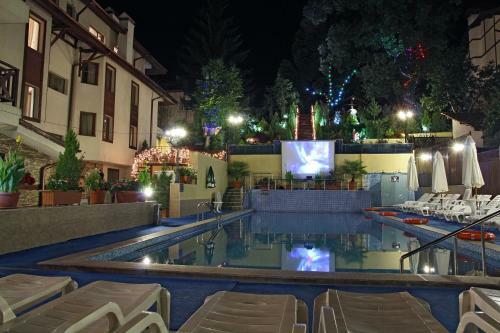 The place welcomes families, so if You're with children You will have good vacation.